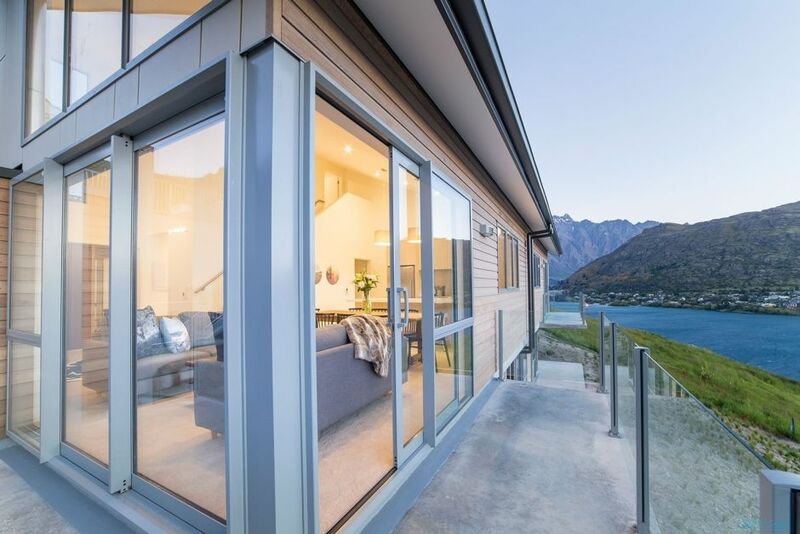 Welcome to Bluewater Apartment, a stunning new holiday home in Queenstown. Beautifully appointed with 4 spacious bedrooms, 4 bathrooms (2 en-suites). Bluewater is perfect for families and couples traveling together. The first bedroom with an ensuite bathroom is located on the upper level and very private with the second bedroom and ensuite bathroom located on the middle level, the last 2 bedrooms are downstairs where also has a bathroom. Enjoy the elevated views from the open plan living and dinning area or relax by the gas fire. The apartment is double glazed with heaters in all of the rooms and underfloor heating in the bathrooms, perfect for the winter months. Bluewater is conveniently located just a short drive from the airport and Central Queenstown with off-street parking for 2 vehicles. The elevated position allows for spectacular uninterrupted views of the Lake and Mountains. Bluewater Apartment - This property can be rented as a 4 bedroom, 3 bathroom option (sleeps 8 ) or as a 2 bedroom, 2 bathroom option (sleeps 4). The nightly rate for the 2 bedroom option starts at NZD$385.00 for 4 people, please enquire for more details and nightly rates. Please note that the 2 bedroom option is only available to be rented separately during off peak months. Rates: Off -Peak Rate Excludes school andamp; public holidays - please enquire. Fantastic property with great views out over the lake. Fantastic property with great views out over the lake. Very nice décor and exceeded out expectations.